Jerry Reynolds, The Car Pro, addresses probably the most misperceived question that car buyers ask … should I buy or should I lease? What’s the difference? Well, it’s no secret why more and more car shoppers are turning to Jerry for unbiased information and facts. You see, Jerry doesn’t work for a car dealership, or a manufacturer, nor does he sell advertising on his website. His motivation is simply to provide his audience with a realistic view of the issues they face, in clear and friendly way. Buy or Lease: Which is right for you? The terminology can be a bit confusing, and often the two terms are mixed up, but buying and leasing are two different things. Who should consider buying, and who should consider leasing, is all up to how you feel about monthly payments and interest. We have put together a brief explanation of the differences between buying and leasing, and if you’d like more information, check out the video of Jerry Reynolds, The Car Pro. When buying a car, you have the advantage of enjoying the car for as long as you want. There’s no need to trade it in after your loan is up. Once you have paid off the loan, the car is yours and you no longer need to pay each month. There are no mileage restrictions, meaning you can answer the call of the open road. Your payments will be higher each month, and you will be taxed on the full value of the car, rather than just a small portion of it. When leasing a car, you can trade up for a new model every three years, giving you the ability to enjoy the latest technology. Your overall cost will be lower because your loan is only for a percentage of the car’s value, versus buyers who receive a loan for the full price of the vehicle. If you haven’t been able to save money for a down payment, or your need for a new car was sudden and unexpected, then no worries. With leasing, the down payment is negotiable. 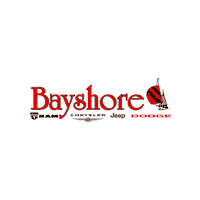 Are you ready to view our new Chrysler, Dodge, Jeep and RAM models here at Bayshore Chrysler Jeep Dodge? We are located at 5225 I-10 East in Baytown and ready to serve our Houston, Pasadena, and League City customers.